Park Tool makes tools of the highest quality and this piece is no exception. 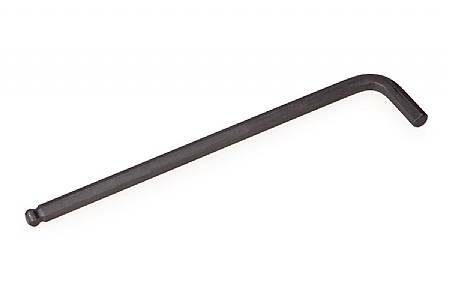 If you need a 8mm hex wrench, you can't go wrong with this one. It's a wrench... a Park Tool wrench. Park Tool 8mm... should be around for a long time, just like my other Park Tools. I bought this wrench to use on my crank arm bolts. They've hex type. I believe in tightening these as tight as possible. This wrench did the job without bending. Just have to be careful not to overtorque these, particularly if you're using a traditional square taper bottom bracket and crankset, as you'll push the arm so deeply onto the spindle that it'll wear faster. Once the spindle is flush with the end of the crankset on those, they'll no longer press on. We also recommend applying blue Loctite to crank bolt threads.